Our longest National Trail gives the opportunity to enjoy some of Britain's finest coastal landscapes. These are extremely varied, from rugged and remote clifftops to sheltered estuaries, busy harbours and resorts. Moorland stretches contrast with plateaux incised by steep coastal valleys and intimate coves with long pebbly or sandy beaches. South Cornwall and Devon offer spectacular 'drowned' estuaries while in East Devon and Dorset there are extensive 'undercliffs' resulting from landslips. Ferries operate across most of the larger estuaries but some offer a reduced service or cease altogether out of the holiday season. Details are available in the South West Coast Path Association's Annual Guide. Two World Heritage Sites cover sections of the coastline. Mining was a major industry during the 18th and 19th centuries and transformed the Cornwall and West Devon Mining Landscape. This Site comprises ten separate areas both along the coast and inland. The Jurassic Coast is England's only natural World Heritage Site and includes 95 miles of unspoilt cliffs and beaches from Exmouth in East Devon to Old Harry Rocks near Studland Bay in Dorset. The South Dorset Ridgeway is part of the South West Coast Path National Trail and was the original route to be designated (the longer coastal route around Portland was only added in 2003). Providing an inland option or a circular route if combined with the coast, it runs from West Bexington to Osmington Mills, decreasing the total distance from the coastal option of the South West Coast Path by 25 miles (40 km). Although it is some distance from the sea, it offers views of the Jurassic Coast. In 2002, Plymouth City Council created a continuous walking route along its coastline and appointed a team of artists to mark the route and interpret the many stories along it. Promoted as Plymouth's Waterfront Walkway (9 miles) this is now part of the South West Coast Path National Trail and is not separately named on OS mapping. For the E9 route that runs between Plymouth and Dover, Exploring the Bournemouth Coast Path covers the 37-mile stretch between Swanage and Lymington and includes the E9 route through Bournemouth. See E-Routes (E9). East of Lulworth army ranges restrict access at certain times (for details telephone 24 hour answering service 01929 404701). The St Michael's Way (12 miles), which is included on OS mapping, links Lelant (north coast of Cornwall) with Penzance/Marazion/St Michael's Mount on the south coast and can be extended into a much longer circular route when combined with the National Trail. Coast-to-Coast Trail (Cornwall Mineral Tramways) traverses 11 miles from the north to south coasts from Portreath to Devoran passing via Cambrose and Scorrier down the Poldice Valley and the Carnon riverside through past mining landscapes. The circular waymarked Dart Valley Trail (17 miles and on OS mapping) connects to the National Trail having the ferry between Dartmouth and Kingswear in common. It also links to the national rail network at Totnes. 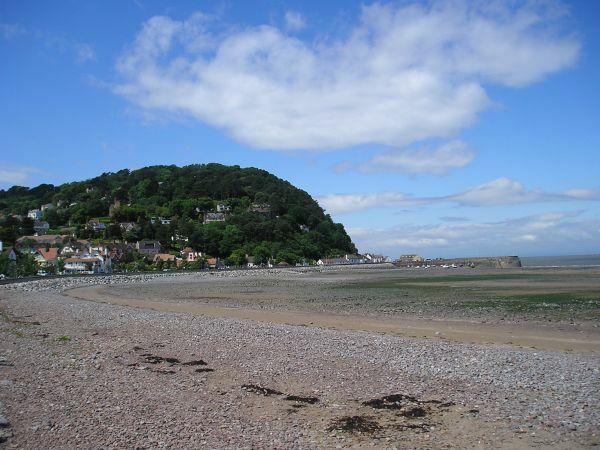 The Templer Way (18 miles and on OS mapping), which is waymarked except on open moorland, goes between Haytor Quarry and the National Trail at Teignmouth, using the ferry from Shaldon to Teignmouth. As an alternative to the large number of OS maps, three Harvey stripmaps cover the full route. GPS track files may be downloaded from the National Trail's website.